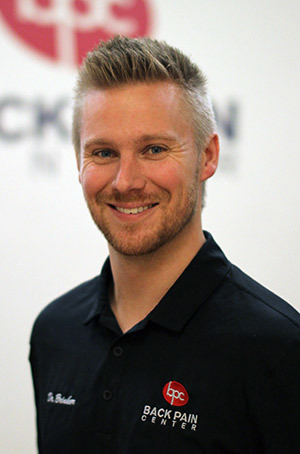 Dr. Ryan Brinker is a board certified Chiropractic Physician who graduated from Logan College of Chiropractic. While at Logan, Dr. Brinker worked for the Bio-Freeze Sports and Rehabilitation clinic where he had the opportunity to work with Paraquad athletes, local track and field clubs and the University of Missouri athletics department. Before attending Logan, Dr. Brinker received his bachelor’s degree in athletic training from Lindenwood University. While there, he had extensive coursework in the prevention, treatment and rehabilitation of athletic injuries ranging from middle school athletes to members of the St. Louis Rams. Dr. Brinker also competed on the Track and Field team at Lindenwood University where he earned two All-American awards and his team won two National Championships. Dr. Brinker uses a case-by-case approach to find the underlying dysfunction and create a custom treatment plan for each patient. Functional movement screening, soft tissue treatment, chiropractic adjustments, and rehabilitation exercises all help to create a multifaceted approach to treating the true origin of the symptoms and not just the site of pain. While out of the office, Dr. Brinker enjoys spending time with friends and family, as well as volunteering with his wife, Danielle, as St. Jude Heroes where they run to support St. Jude Children’s Research Hospital. His hobbies include golfing, running, hunting, and keeping up to date on the newest treatment protocols.